On arrival into the city of La Paz, we will pick you up and take you to your city center hotel. Explore the incredible city of La Paz in your private tour. Located in a bowl surrounded by the high Andes, La Paz is a city of contrasts . 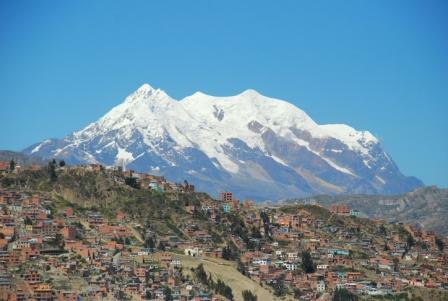 La Paz is both the center of the indigenous Aymara population, and the modern government of Bolivia. See the fascinating blend of modern and traditional in the Witch Doctor’s Market, municipal centers and colonial buildings. Your tour includes a trip to the extraordinary Moon Valley just outside the city. Travel by private car to Huatajata on the edge of Lake Titicaca. After a visit to the Altiplano Museum to learn about the cultural heritage of the Aymara and the Incas, set off on your trip by hydrofoil. Lake Titicaca was the sacred heart of the Inca Empire and their temples and pathways can be explored on the Islands of the Sun and Moon. Enjoy breathtaking views of Lake Titicaca and the Andes as your private guide takes you along ancient Inca pathways on the Island of the Sun. Overnight in a local lodge on the island. Visit the Inca Staircase and Sacred Fountain, relax at a natural spa using 1000 year old methods and meet a natural healer. In the evening, gather for stargazing at the Alajpacha Observatory. 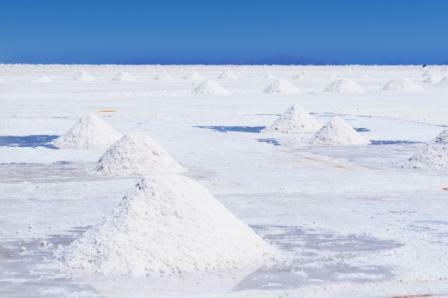 Transfer to the airport for your flight (included) to Uyuni. 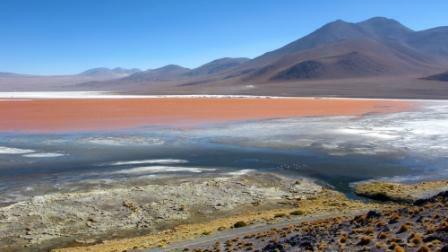 Continue by 4 x 4 private car across the white salt plains of Uyuni, with plenty stops for taking photos. Overnight salt hotel. Potosi was once at the center of the Spanish Empire and the richest city in the world. The source of the wealth were the mines of tin and silver. Now, Potosi is a city full of history high up in the Andes. Visit the Royal Mint – and gain an insight into how Potosi was hundreds of years ago. Continue to Sucre. Sucre is a beautiful city of colonial buildings and shady plazas. Visit the city’s peaceful churches and university as well as its colorful market. Overnight in Sucre. Fly (included) to the warmer region of Santa Cruz and the area’s capital. In the afternoon we take you on a tour of this modern city. In the 17th Century the Jesuits arrived in Bolivia and established communities in the tropical forests of Santa Cruz. Unlike other Missions on the continent, the churches, halls and houses here are still intact and used by local communities to this day. We take you on a private tour through the area of the Missions – to San Javier and Concepcion with stops to enjoy the beauty of the palm savannahs. Overnight in Concepcion with the option of joining the evening’s mass. Continue your exploration of the Chiquitan Valley. Return to Santa Cruz. We take you to the airport for your flight to Santa Cruz and home.